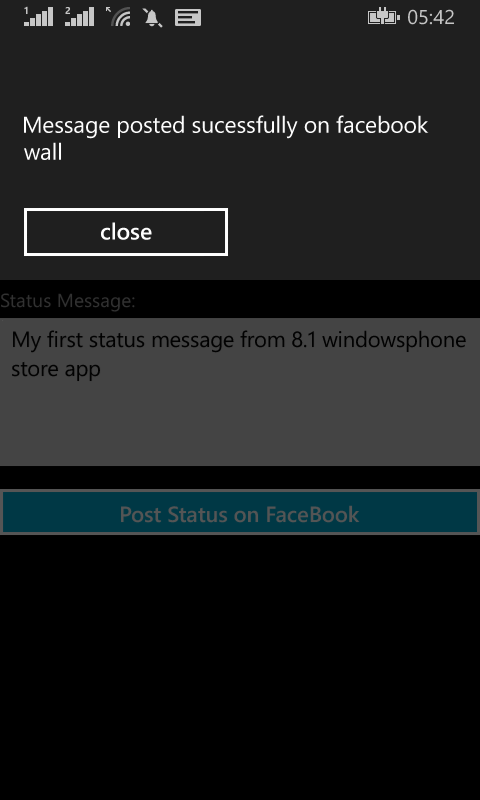 In previous article i was explained the concept of facebook login support for windowsphone 8.0,Now this article will show you how to easily integrate Facebook to your Windows Phone Store 8.1 application. Work with Facebook Login Page. Post status message on FaceBook Wall. Facebook users increasingly rely on their Facebook identity to access apps, play games with friends, share playlists or comment in a forum. As a developer, you may also rely on Facebook Login to tap into the Facebook social graph to enhance your app’s experience, enable new scenarios and open up the app to new customers, resulting in better revenue opportunities. This will add Facebook SDK in the current project like below. Enter the Display Name, namespace (Optional) and then click 'Create App ID'. Please note above App Id,and You must select Windows App as a platform,because in this sample we are trying to connect windowsphone 8.1 store apps. And now the most important step is we need to fill Windows Store ID. We proceed to copy that Uri, on page Facebook App 'facebookwptest' a new platform and select Windows App there two fields appear, since this app are creating the Windows Phone 8.1 and then we place the Uri Windows Store ID. If I were a Silverlight App Windows Phone 8.1 we should use another field and a different Uri. Note: As we are creating a windowsphone store app ignore the field talking about Windows Phone and we look only at the Windows Store ID. Before going to login any social networks,oAuth is the common authentication method nowadays for Apps and Websites,In this article I am interested to use WebAuthenticationBroker. Note: Unlike the Windows WebAuthenticationBroker, the Phone version does not use the AuthenticateAsync method. It uses AuthenticateAndContinue instead. This is related to the lifecycle on phone, as it is more likely that an WINPRT app is suspended than on Windows (at least that’s the official reason). But we are able to get it working, no worries. First, we need the so called ContinuationManager. This class brings the user back to the app where the fun begun.So create a folder name is 'Helpers' and add following class. Here the only thing you need to do is to add your app’s Namespace into it(Here in my case namespace is FaceBookWp8._1.Helpers). Add a CreateRootFrame() method with some little changes to the default behavior. First, we check the SuspensionManager and let him restore a saved state – if there is one. If you do not have a Folder "Common" with the SuspensionManager, just add a new Basic page. This will generate the Common folder with the SuspenstionManager class for you.However in this sample i added SuspensionManager class in 'Helpers" folder. After that, we are checking if the activation is a Continuation. We need this check there, otherwise the app will not be able to receive the Tokens after returning from the WebAuthenticationBroker. Note: declare the ContinuationManager globally in App.xaml.cs with this to avoid multiple instances (which will crash the app for sure). Of the suspension system is responsible, the event will fire OnSuspending found in the App case: App.xaml.cs , which at the moment looks like this (no need to do anything). Add following class in 'Helpers' folder.Which is useful to login facebook with help of WebAuthenticationBroker. 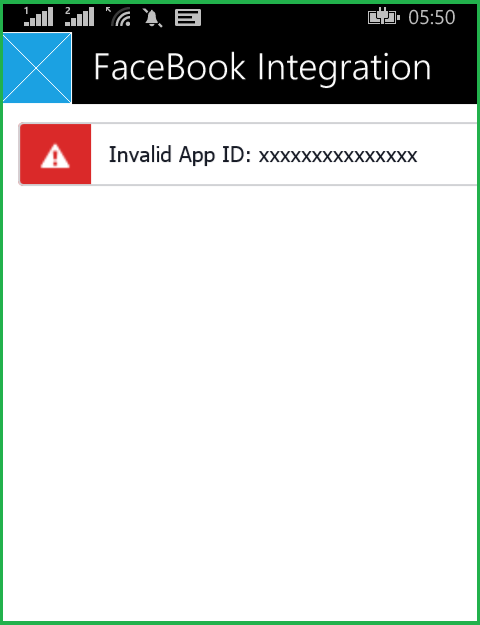 Note:Please enter your facebook App ID in above code.otherwise you will get error like below. Now our project hierarchy will be like this. Wow! Now we are done almost,Let's make following UI in MainPage.xaml page to use above helpers. 2)Buttons for Login and Logout. 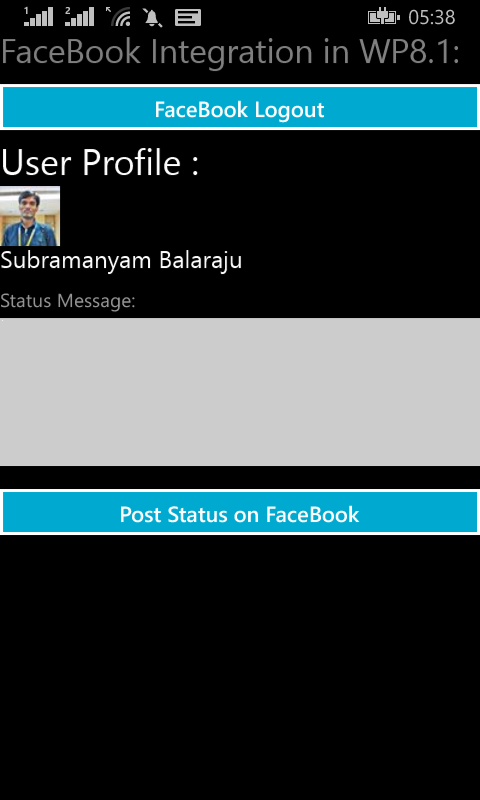 3)UI for displaying user profile info ,after successfully logon to facebook. In MainPage.cs file , create following two global object for 'FaceBookHelper.cs' class and FacebookClient. When clicking on Login button from UI,WebAuthenticationBroker will get facebook login url from the FaceBookHelper constructor and screen will be appeared like below. Entered facebook username and password will be processed for authentication,and then will be ask for your permissions.Press ok for successfully logon to facebook page. After successfully logon to facebook page,Add following method for fetching user profile data in MainPage.cs file. From this article we have learned "Facebook Integration in windowsphone 8.1 application".Hope i wrote this post with my best level,When writing this article, i had taken lot of hard works and making nice presentation to understand the article at beginners level. This was really helpful! :) I've been struggling to integrate windows login on WP 8.1! And right now my page is stuck at "login success". Can you help me with that? 1)Your facebook app is must be approved. I did all that. When I put anything other than "http://www.facebook.com/connect/login_success.html" in the redirect uri, I get invalid url. What can I do to move back to my app? Hey! I didn't do that Windows store step. Thats where I was going wrong! Thank you so much ! :) This helped me a lot!!! Hey! I found something else. When I login after authorising the app again it says "You have authorized the app already". Is there any way for a already authorized user to not see that page? I'm stuck in the same issue. Can you please share the solution for this? Thanks. Have you been able to solve this issue? I still get the "You have authorized the app already" message. I have an issue with login. After login I get a message "Success" and also a warning message "SECURITY WARNING: Please treat the URL above as you would your password and do not share it with anyone." I don't receive the access token too. Can you suggest how to solve this issue. Thank you for the great tutorial, it's been an amazing help. I have one question, when logging out of a Facebook account using the demo, a generic Facebook "Success" page appears. For a production app it would be necessary to have a cleaner log-out, is it possible to avoid that "Success" page? I am doing the windows phone 8.1 silver light app . For this I integrated the facebook . For log in process I used the log in with app method , For testing i created one sample in vs and at the developers.facebook.com , and I have placed the product id from the wmmanifest.xml which is present in place holder , and I am able to login with the sample . I am getting error message from facebook saying that calling app id not matched calling app id . You should follow my previous articleFacebook login support with windowsphone 8 silverlight apps. .And in this post i mentioned in step 2. I have replaced the store app id in those two places told by you , after executing it I am getting error messgae from facebook saying that calling appid does not match the calling app id. Is it not possible to test the app without publishing? yes I remembered those two points , please give me clarity that is it possible to test the app without publishing or not after changing the app id in dev.fb.com and in wmmanifest.xml under extensions. Yes you can test without publishing,but make sure remembering above two steps. does this work after changing the store id in those two places and publishing to the store also . After successfull log in to facebook , this function ContinueWithWebAuthenticationBroker was not getting called. Same problem here, can you please help? Try to check your class interface, do not forget to add "IWebAuthenticationBrokerContinuable"
can we have any google account integration in windows phone 8.1 ? this is a good tutorial. I am still trying to get the app id but once I get over that issue I should be able to integrate it into my windows phone app . hi, thanks for the guide! but i'm stuck on logging in with facebook.. that say me that given url is not permitted byapplication configuration ecc. , i've set my AppID in facebookHelper class... Can you help me? 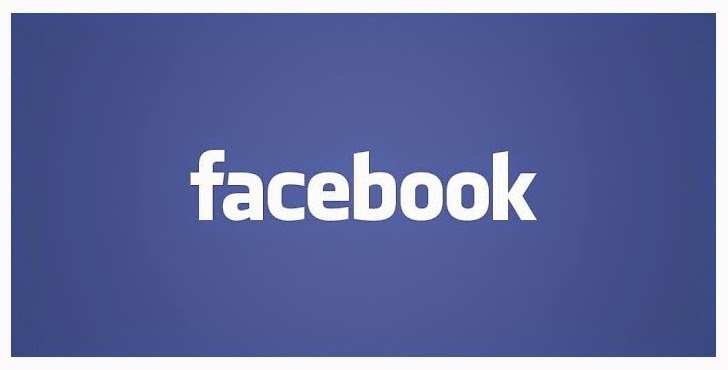 Be sure to set the correct Store Id on Facebook page. It works fine when I press the button. 2. This works great when I run this for the first time, but later when I log in it says that I have already accepted this app. I should have got AccessToken in some other fashion then? 1.What is use of SuspensionManager.cs class? 2.where is in method of SuspensionManager.cs? Hi Subbu.I am doing one application for Professional.So my requierement is i need to retrieve all installed apps list in my Application.Please help me to do this.is there any API? How can i get friend list and can u also give me all supported request and response to interact with data of facebook. SuspensionManager is a class which is helpful for navigation purpose and It saves and restores the navigation state of the Frame. If you are creating Blank page we need to add this class for making navigation history. How about integrating twitter for wp8.1? I want to add a status through my app to twitter for sharing purposes, is that workable? I have got a successfull response but don't know while callling this line "_continuator.ContinueWith(args);" we are getting null response. so could you tell us what mistaken we have done ? Yes, I have also try this, but it doesn't work. Can someone help us? I've actually changed to "winsdkfb" supported by microsoft as it seems to be use in Win 10. The problem with logout however still persisted, but it seems that is because of the cookies stored in application's browser. that was a nice tutorial sir. can you upload images we use in this application? I cant use "Post status message on FaceBook Wall" function. I did write something on the textbox but when i clicked on the Post status button there was nothing happen. The other functions Login, Logout are useful, only this function cant be used. Could you plz tell me how to make it work? Nice Tutorial about Facebook Integration in windows phone 8.1.... Its very useful for us.. Thanks Subbu. But I have 2 issues please help me! Second: Why I post status in facebook,but my friend can't see it ? Do you have any linkedin integration into windows phone 8.1 article? Install-Package : Unable to find package 'Facebook'. I am getting an error in the emulator when I click on the login buton. the erorr is"Given URL is not allowed by the application configuration: One or more of the given URLs is not allowed in the app settings. it must match the website URL or Canvas URL, or the domain must be a subdomain of one of the App''s domains. Actually what happend is whenever i click login button it goes to login page and successfully login but userdata not found .i.e., above method not calling. I want to get user data.how to get user data .please help me. continuator value is NULL. so my IWebAuthenticationBrokerContinuable is not call. I have the same error of continuator getting a null value.I do not seem to understand why. Hi I had the same error but I solved this using the CoreApplicationView class which is used in this example http://windowsapptutorials.com/windows-phone/media/using-fileopenpicker-in-windows-phone-8-1-to-choose-picture-from-picture-gallery/. I used the viewActivated event to handle the WebAuthenticationBrokerContinuationEventArgs and it works for me. However I don't know if this is the ideal solution to handle the suspension state of winrt apps. Help me out... how to solve this??? Thanks a lot for sharing this list with us. I was searching it for a long time. // 'continuator' varaible returns null value, that's why application terminate .Any solution ? How can we get friends online status ?